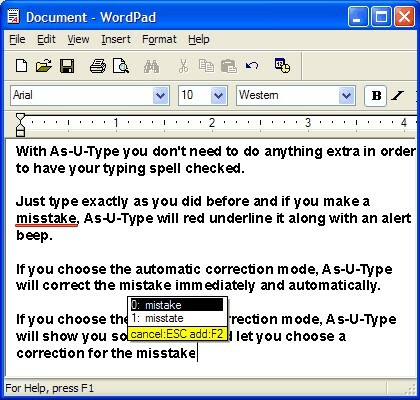 An OS-level real-time spell check software that checks and automatically corrects typographical and spelling errors for everything you type in all Windows programs. It learns your mistakes, adapts to your typing habit and becomes smarter with use. This innovative and award-winning software brings a brand new solution to protect you from making unwanted typos and saves you lots of time, giving you accurate and fast typing.